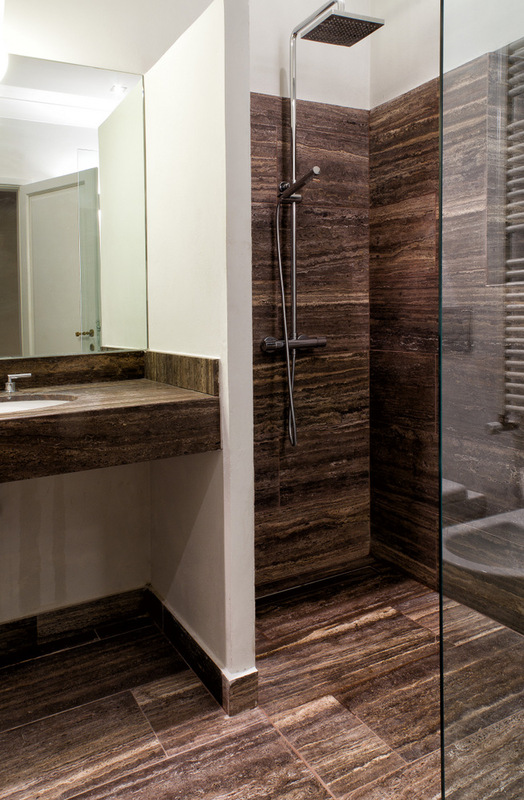 The bathroom is an oasis of well-being, furnished to create a harmonious and functional space. 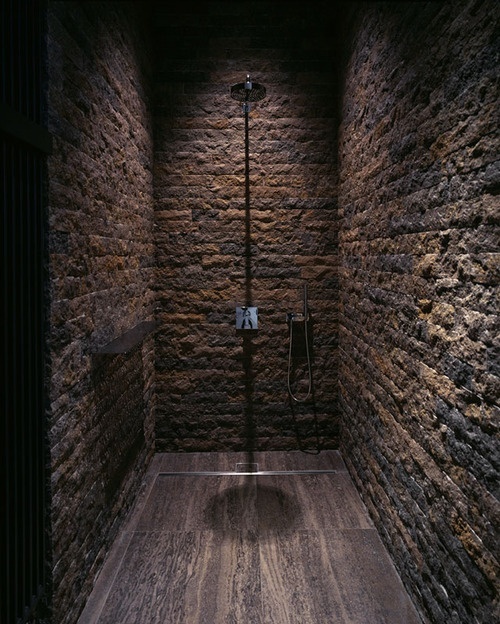 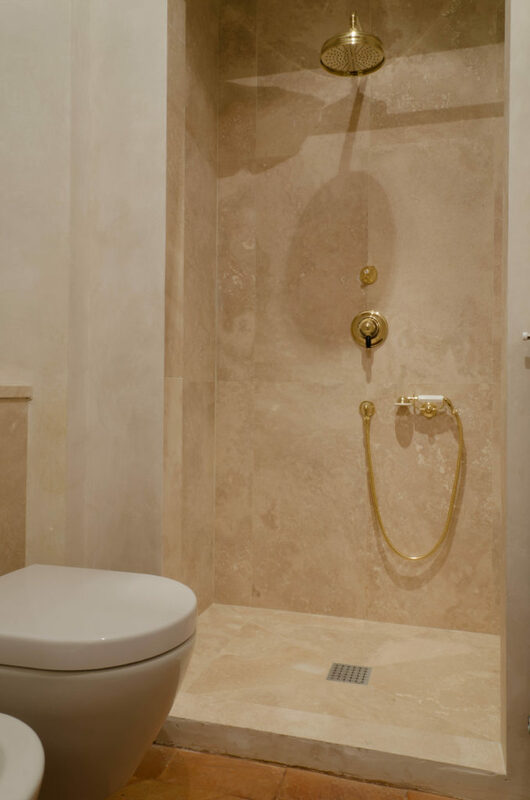 In particular, the shower is synonymous with a warm and welcoming moment that refreshes at the end of the day, so every element should be chosen with care and attention. 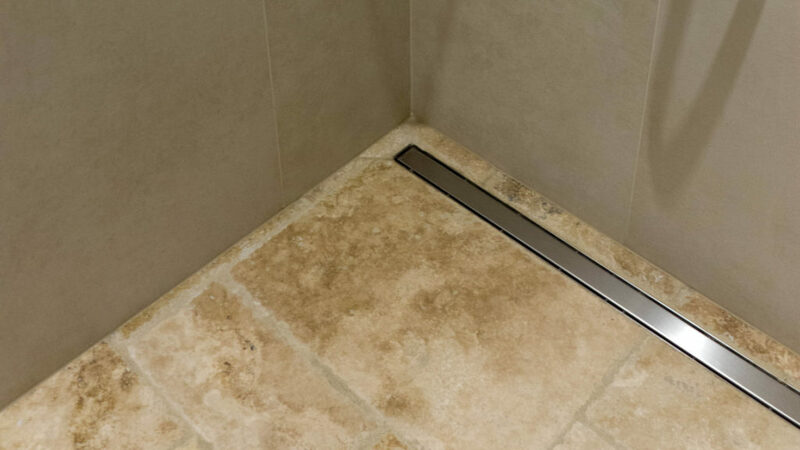 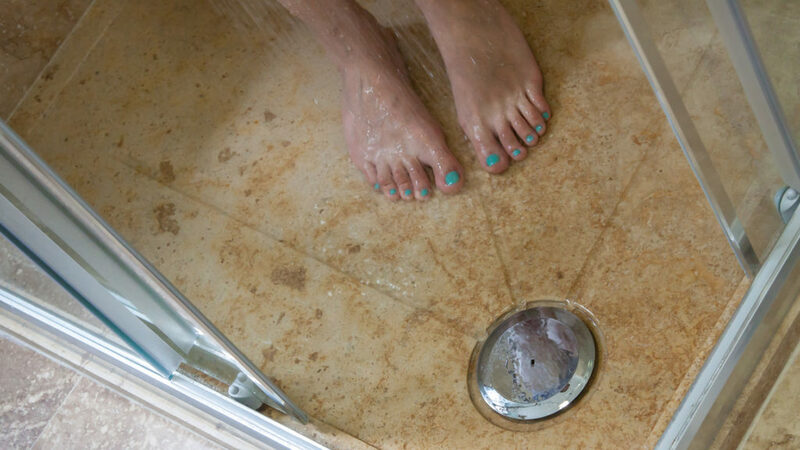 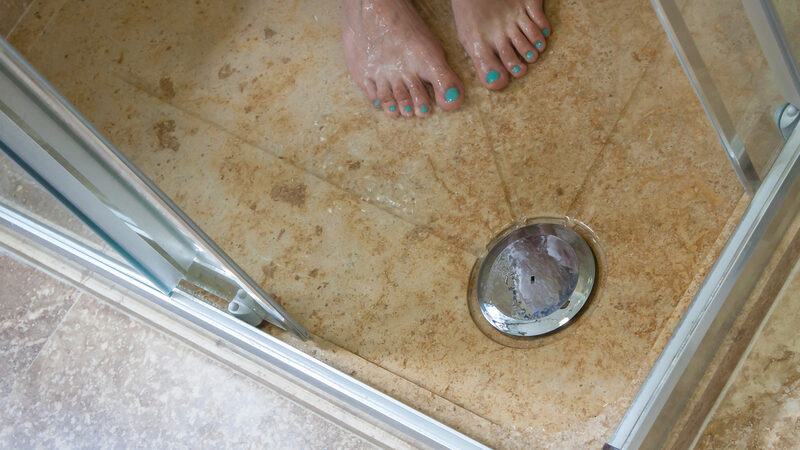 It may seem obvious, but the shower trays play a key role, draining waste water efficiently and protecting the bathroom floor. 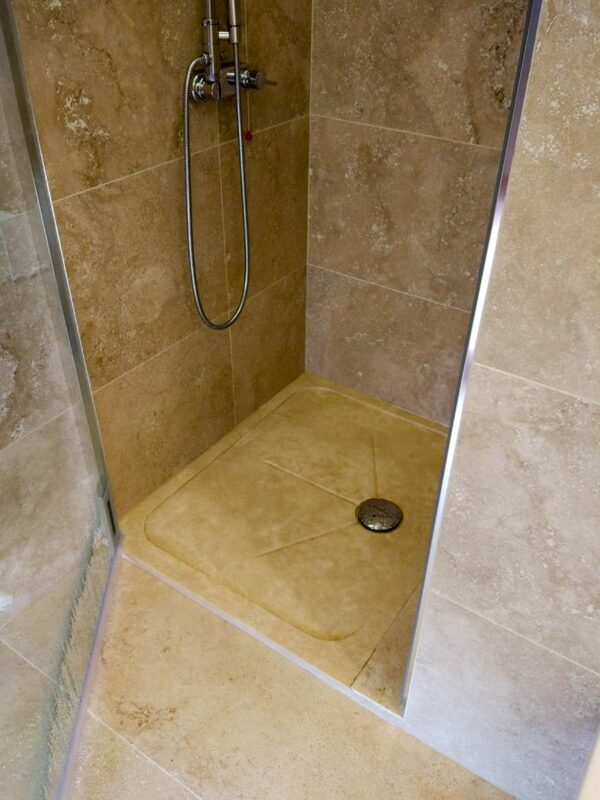 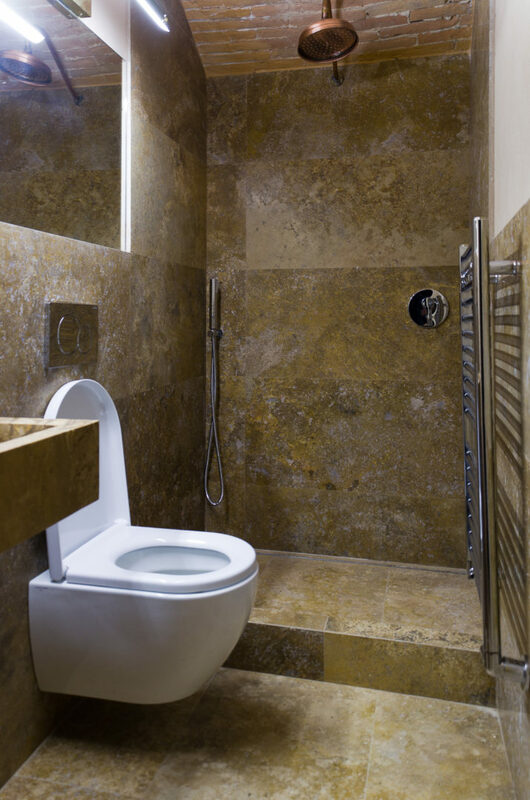 Our natural stone shower trays are well designed, made with high quality materials and built to last. 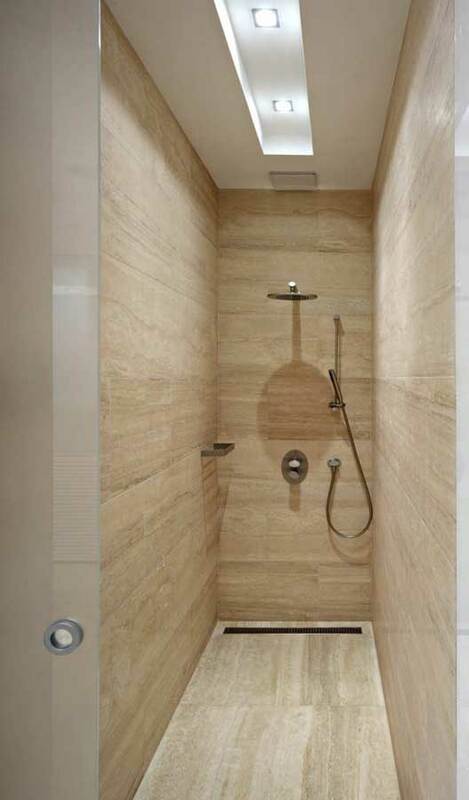 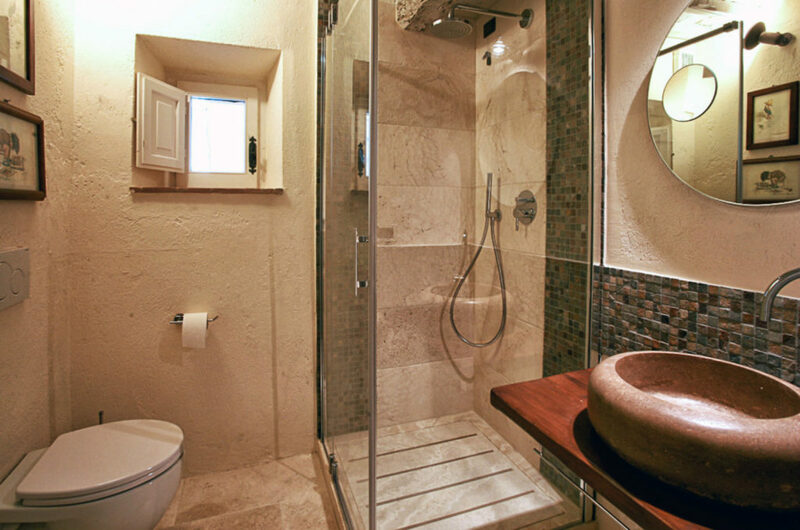 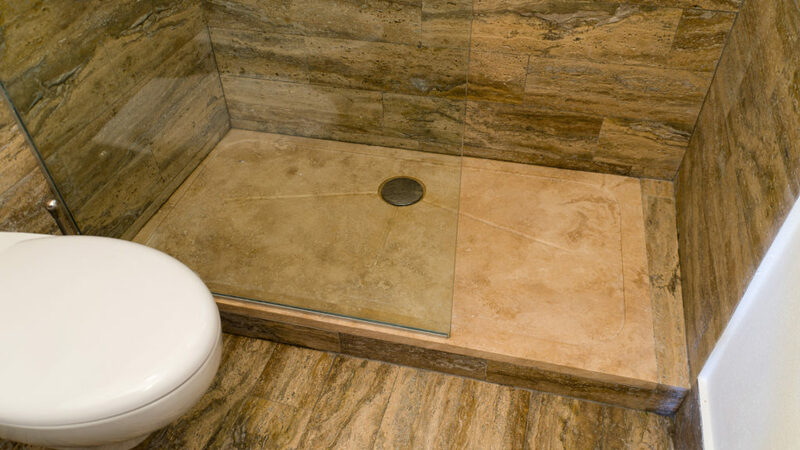 The covering of the shower tray can be chosen according to or in contrast with the selection of color used for the floor, or instead you may prefer a decorative coating with one of the available mosaics: the travertine certainly combines perfectly with both types of coating. 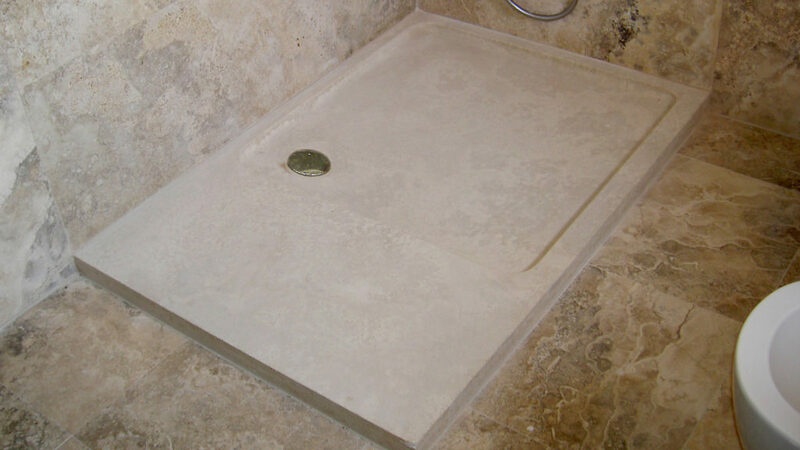 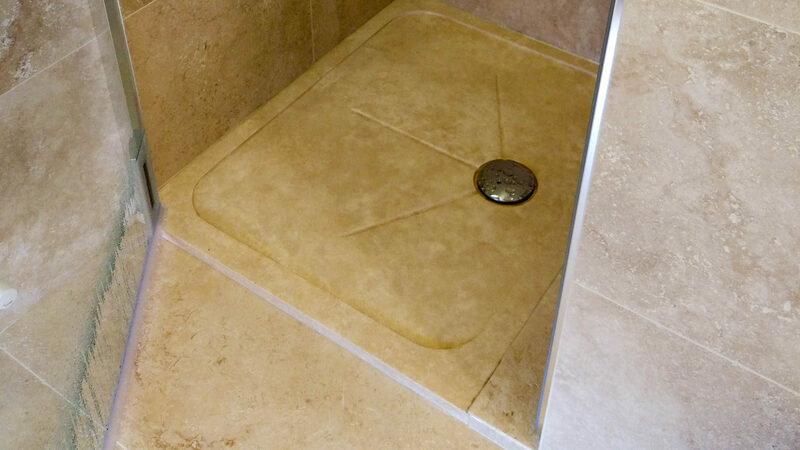 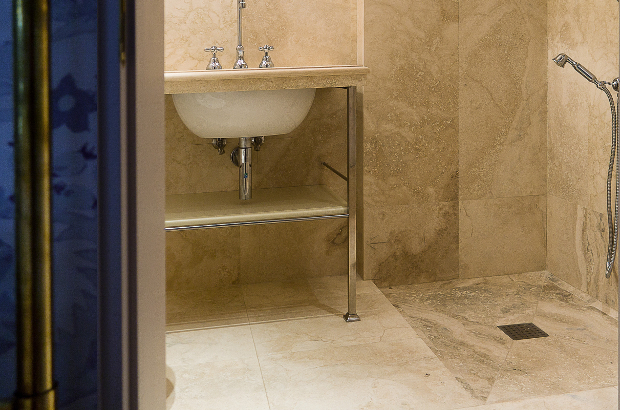 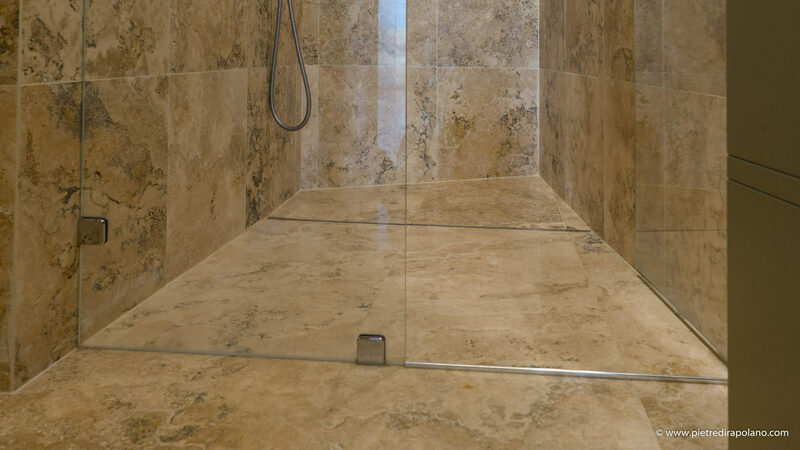 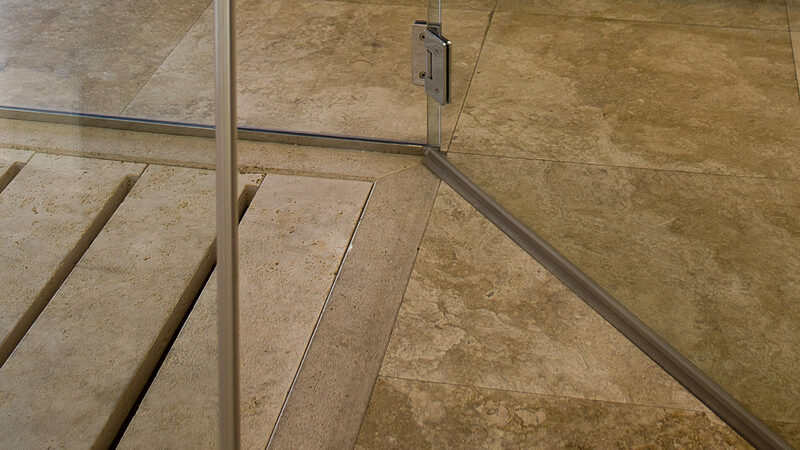 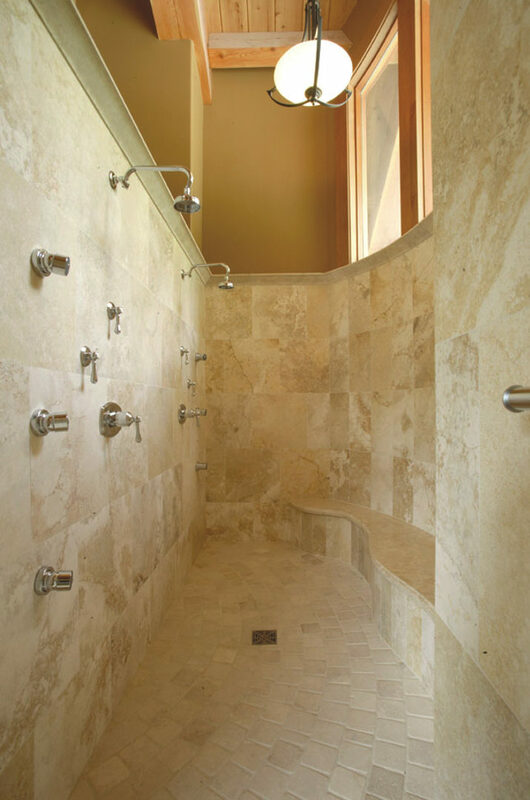 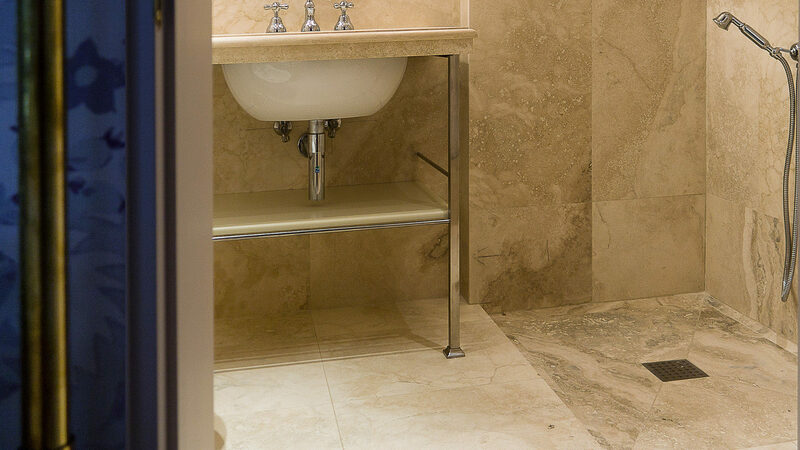 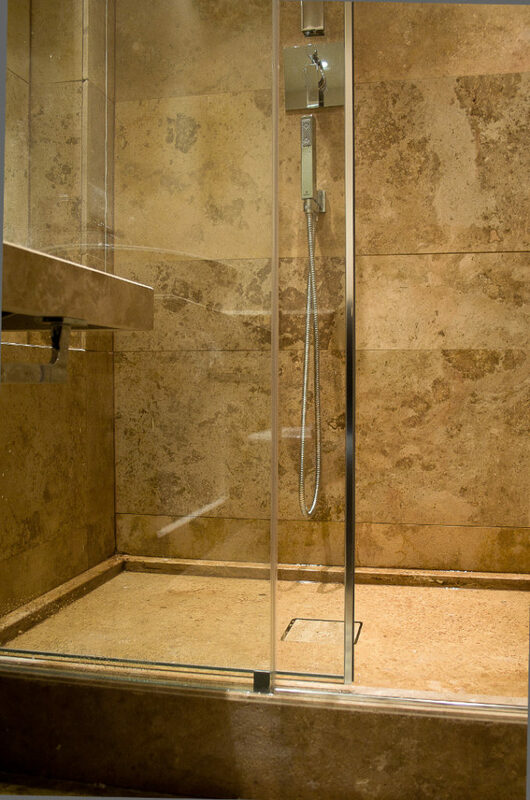 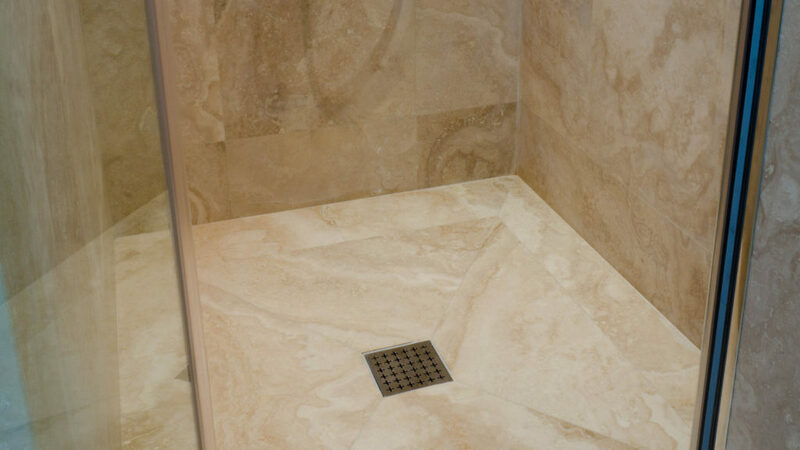 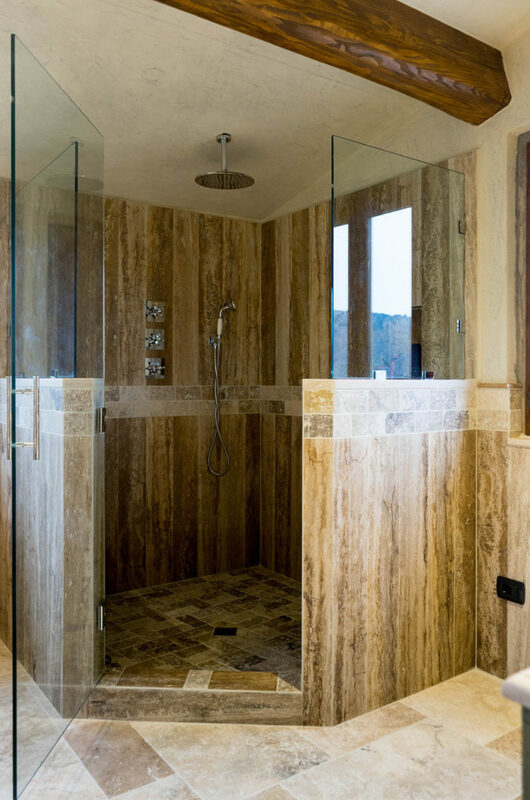 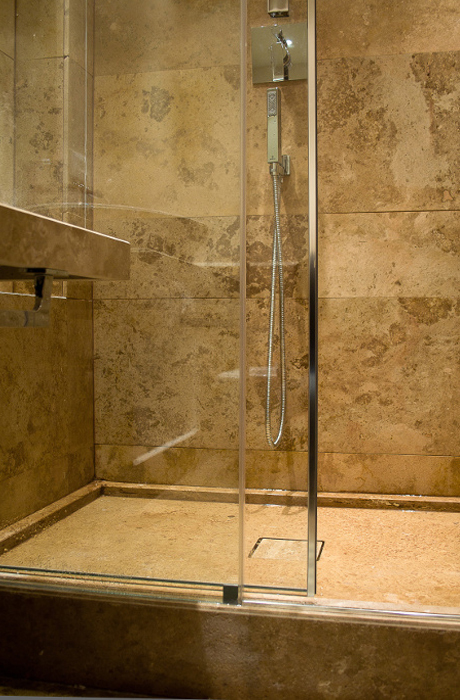 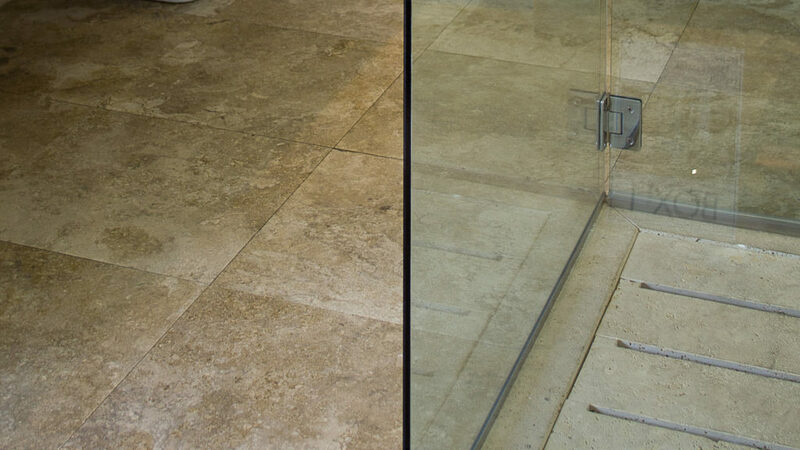 Just like an elegant dress, a bathroom needs finishing touches: our range of solid travertine shower trays includes different color selections and exclusive designs that can be made in custom sizes to meet the needs of each space. Maintain your sense of style and choose between models with hidden drainage that form an elegant geometric pattern, or between more classic models with central or side visible drainage, or others with special wood inserts: all can be supported by, or flush with, the floor according to your aesthetic preferences. 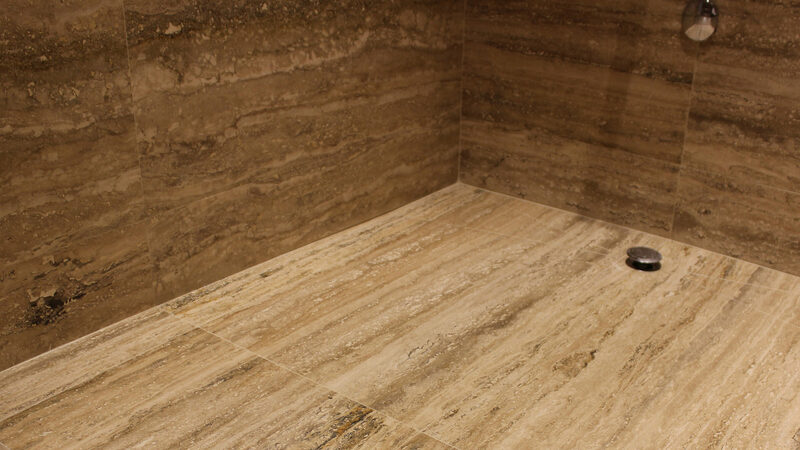 In addition to the various models in the catalog, we at Pietre di Rapolano can design customized solutions to suit your every need and according to your available budget, using single or flat-cut pavilions, as well as tiles or mosaics. 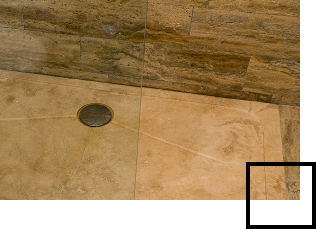 Also in this case the colors of these elements can be in harmony, or in contrast, with those chosen throughout the bathroom. 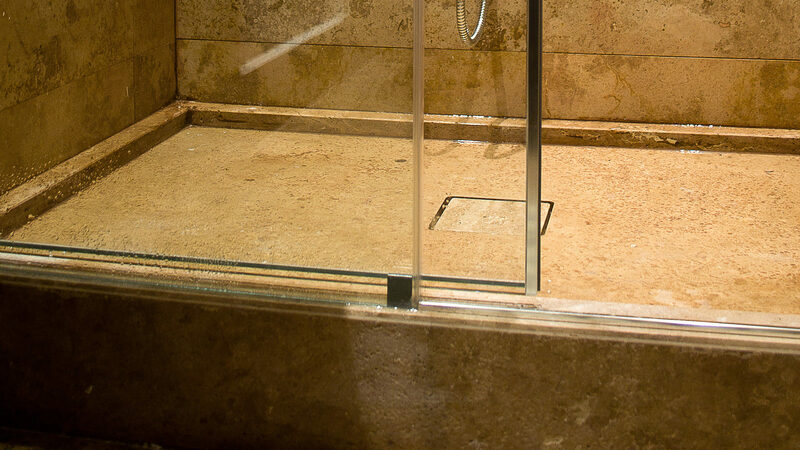 Finally, to complete the shower environment, allow us to provide your shower head and any shelves to give your bathroom a further personal touch!